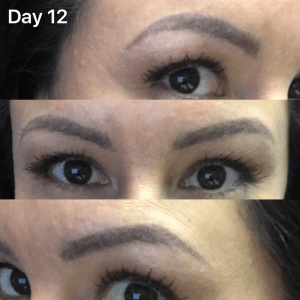 Reasons Why Microblading Doesn't "Take"
​There are many reasons why the skin may not accept the pigment or dye after your microblading procedure. 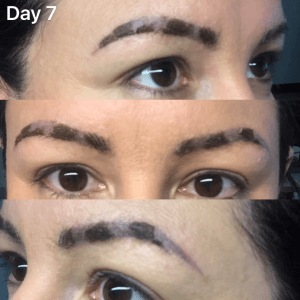 Recall that the microblading procedure is done by making small cuts into the dermal epidermal junction in the skin and placing pigment into the "well" that is created from these cuts. 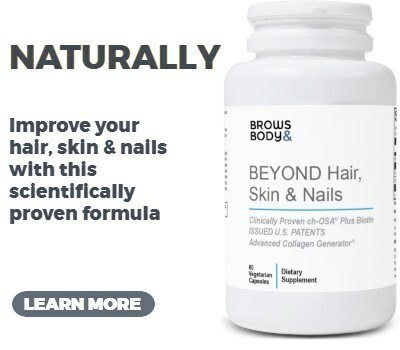 The body then heals up over the pigment and the pigment remains in the dermal epidermal junction for up to 15 months. This is what is supposed to happen in a PERFECT world and assuming everything goes the right way. But what happens if ​your pigment is coming out during this healing process, what then? Remember that some loss of pigment is a normal part of the healing process! ​The best case scenario you can hope for is about 85% pigment retention before your touch up (about 6 weeks after the initial procedure). That means you might be freaking out from the normal healing process. On day 7 you might be freaking out thinking that all of the pigment is coming out, when in reality this is completely normal. Initially your brows are very dark, then they become patchy, then they lighten up. This cycle can cause an emotional roller coaster - but remember, you have to trust the process! If it's been more than 2 weeks and your pigment is gone, then it is most likely NOT normal and related to some other cause. In this case it may be that your artist did not go deep enough. In order to get lasting results your artist must go into the dermal epidermal junction. If the cuts only go into the superficial epidermal layer then your body will basically push out the pigment or dye and it will NOT take. You know if your artist went the right depth because you will hear a characteristic "tearing" sound in the skin. There will also be SOME pain (but not a lot). If this happens to you, you will know it because the pigment will come out as your scabs start to come off and all of the pigment will be gone within 2 weeks. Other factors can interfere with the normal healing process and one of those things is an infection. An infection of the skin will push out the pigment and may result in scarring or other problems. If you suspect that you have an infection please talk to your artist ASAP! Another potential issue which is separate from an infection is a sensitivity to the dye or pigment. Sensitivities or allergies can act the same way as an infection where your body may reject the pigment and push it out. Make sure your artist is using a high quality pigment and discusses any allergies you may have BEFORE the procedure! Especially allergies to nickel. It may also be possible that your artist didn't use the right pigment color for your skin tone. Using the wrong color can change what the final product looks like and may turn some colors gray. If this happens the pigment may have taken, but it may look lighter than normal and you may feel like it didn't "take". This ultimately comes down to picking the right artist for you and having a thoughtful discussion with your artist about colors, pigments and dyes prior to the procedure. #5. You didn't follow the aftercare instructions! This is probably the single most important thing on this post! 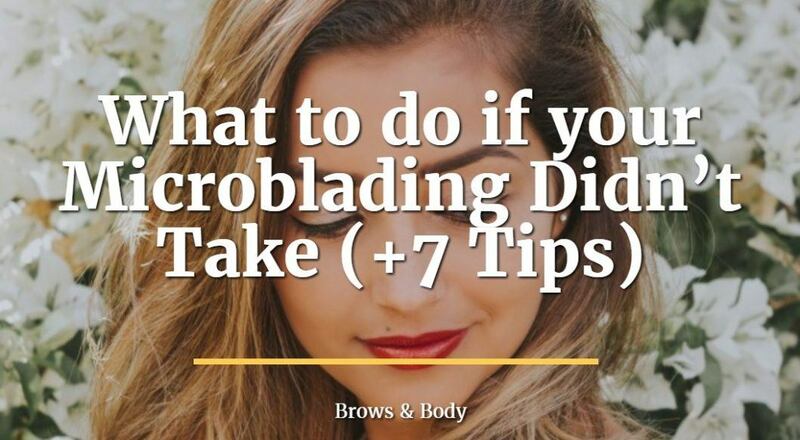 You HAVE to follow the microblading aftercare instructions EXACTLY. Talk to your artist about dry healing vs wet healing to determine which will be best for your skin type and make sure you follow their instructions! Even something as simple as getting wet, putting on the wrong ointment, using a bleaching substance or going out into the sun can seriously impact your results. I personally use the dry healing process because I think the results are more crisp than other healing types. But this means that my clients can't get their brows wet for at least 2 weeks. That means no swimming or exercising! Make sure to avoid facial creams and other products like the plague while you are healing. ​If you have a tendency to pick at your skin then this one is extremely important. If you are using the dry healing process then it's absolutely critical that you do NOT pick your scabs. Picking off your scabs will prematurely pull the pigment out of the well that we created and will make it look like the procedure didn't take. If you have a tendency to pick at your scabs or at your skin then please let your artist know. 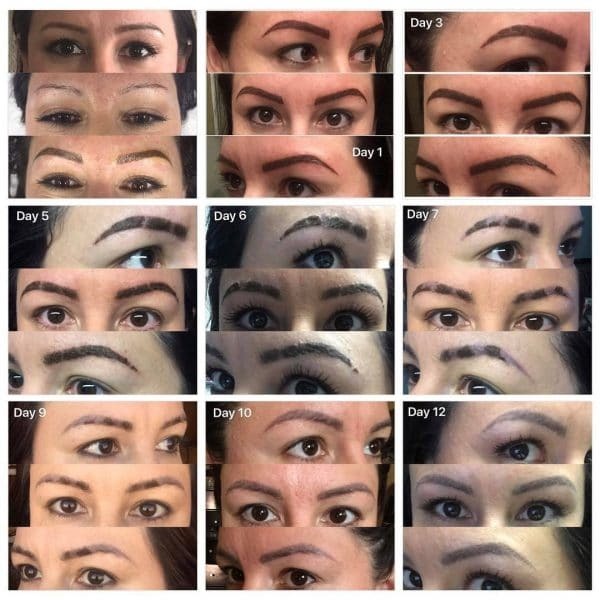 ​The final reason your microblading may not take as to do with the amount of oil production in your skin. ​Some people naturally produce more oils than others, but what's important here is that the oil may push out your pigment making your retention less than desirable. ​If you have really oily skin make sure to discuss that with your artist so you can determine if it's worth undergoing the procedure. In most cases you can deal with the excess oil production and it won't interfere with your results. ​I hope you found this guide helpful! Remember that some degree of pigment loss is normal (but it should not exceed 30%). Just make sure to follow the aftercare instructions exactly and keep in contact with your artist if you think something is wrong.